We kick off the show with a couple of news guests. Matt Melloy from Blue Startups is here to tell us about the upcoming East Meets West event, just a couple of weeks away. 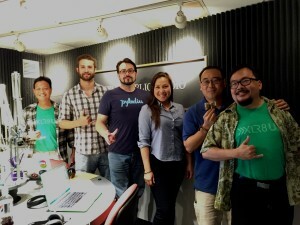 Then Chalmer Lowe is here with an update on PyHawaii. Finally, after the break, we’ll spend some time with two of our favorite tech movers and shakers, Meli James and Ian Kitajima to close out 2015 and look into our collective digital crystal ball to see what’s in store for 2016.